The shaving section will touch on a few shaving products; foams, creams, and soaps. As well, as on different apparatus surrounding the shaving experience. Obviously, the focus is on “wet shaving” with a blade and the whole ceremony that goes with that. It wouldn’t be right not to mention GILLETTE in these pages, since after all they make some of the best razors and blades. That being said, their skin care products are not as impressive by comparison. For the most part the shaving foams, soaps and gels we reviewed, were tested in a quest to find alternatives to the main stream Gillette options. 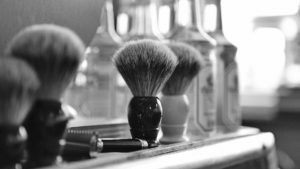 Shaving being such an elemental event in men’s lives that there is an abundance of options. We will try to make a dent in this mountain by reviewing some of these products. The below video give a nice demonstration of what a classic barber shave looks like. It seamed like a good introduction to this section of the site.